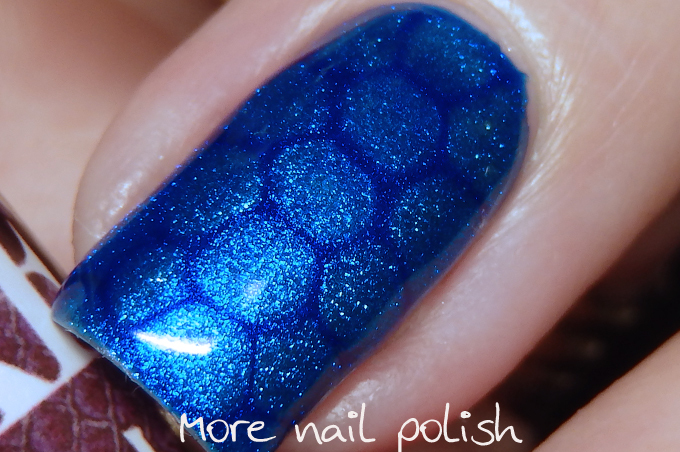 With my last selection of goodies from the Born Pretty Store to review I selected a bottle of Snake Skin Gel drops. The drops allow you to create a very easy blobicure, which when grouped closely together can give the effect of snake skin. I tried it out with a range of different colours. This first one is a very bright hot pink gel base, and then a single layer of white gel polish. Before curing the white layer, you apply small drops of the snake skin drops using a dotting tool. Because the gel polish beneath is not dry it easily spreads to for the pattern. I found it was best to do one nail at a time and then cure, otherwise the edges of the drops started to blur a bit. It also worked better with a very thin layer of the top polish, otherwise you can hardly see the snake skin drop outlines. I did also wonder whether this was a special product or if you could achieve the same look just using gel top coat. So of course I gave that a try. Interestingly I couldn't get top coat to work very well. It just kept leveling out and blending into each other. So it turns out that this Snake Skin product is at least a little bit different to just a clear gel top coat, because it worked very well. Here I tried a different combo. The base is a sparkly silver foil gel polish. The top layer is a smooth jelly finish bright blue. 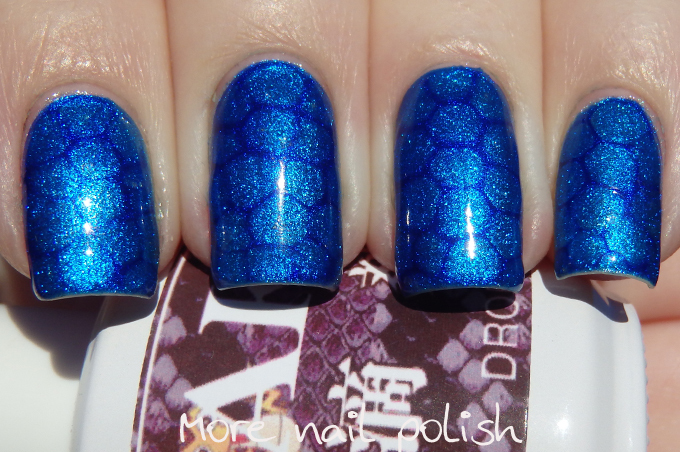 This one was a bit harder to see the snake pattern because the blue gel polish was so pigmented. 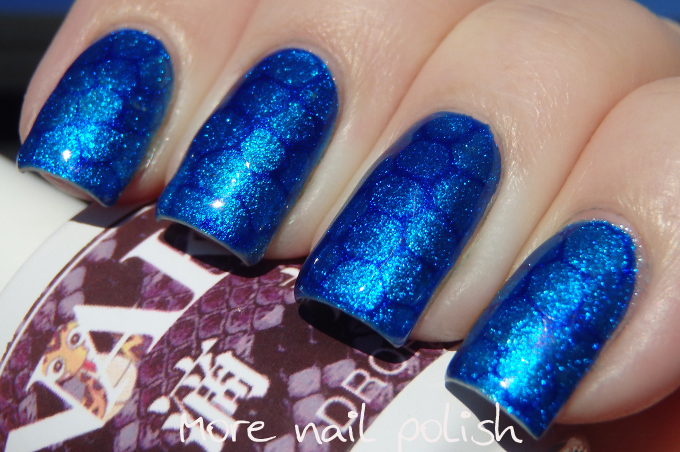 The Snake Skin drops gel polish is available from the Born Pretty Store. I've got a discount code somewhere, but I'm pretty sure every reader has their own discount code by now. If not, just google it and you will find about 1000 of them. 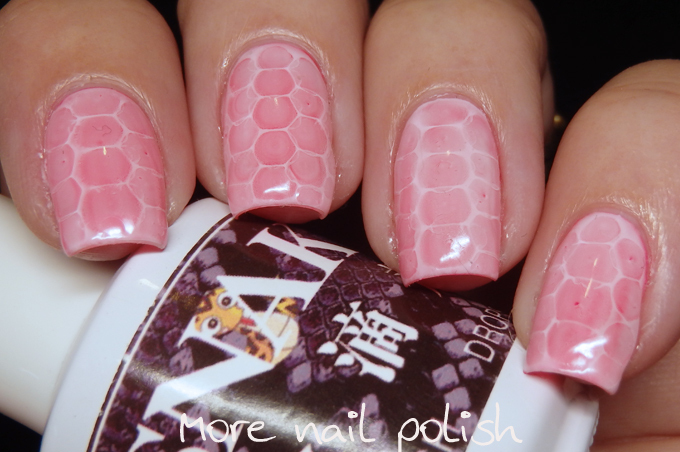 Love that pink snake skin!